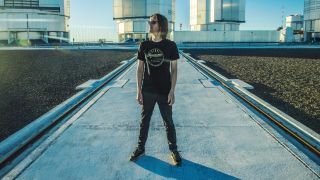 Steven Wilson has released his new track titled Permanating. It features on his upcoming album To The Bone which will launch on August 18 via Caroline International. Wilson previously revealed that his fifth solo album was inspired by 80s pop records and told Prog: “As I’ve gotten older, my listening diet has changed and I’ve gotten immersed in certain artists again after seeing them on things like old Top Of The Pops shows. “In the last couple of years I’ve found myself listening to the progressive pop albums of the 80s: Kate Bush’s Hounds Of Love, Peter Gabriel’s So, Tears For Fears’ Songs From The Big Chair and The Seeds Of Love, and Talk Talk’s Spirit Of Eden. Wilson will head out on tour in support of To The Bone from early 2018. See a full list of dates below.